The International Olympic Committee has praised the boss of Toyko's successful bid for the 2020 Games for quitting amid corruption allegations that have cast a shadow over preparations for next year's event. 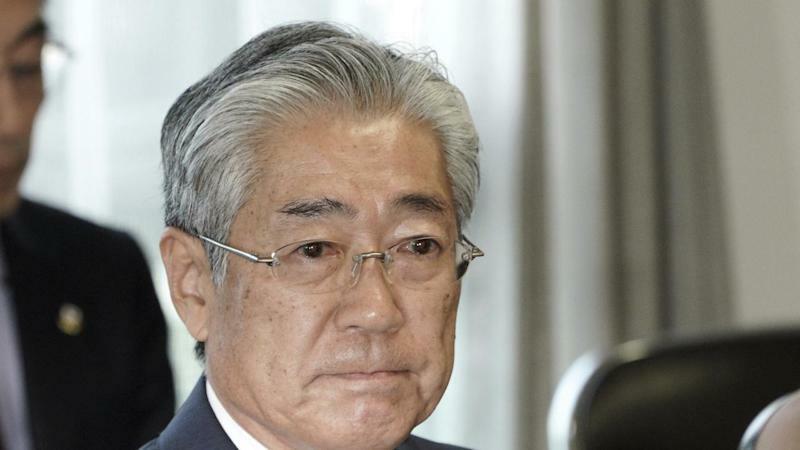 After weeks of speculation about his position, Tsunekazu Takeda announced on Tuesday that he will step down as president of the Japanese Olympic Committee when his current terms ends in June. This means he will also give up his role as vice-president of Tokyo 2020's organising committee and his various positions at the IOC, for whom he has helped oversee the preparations for the last three Winter Games as well as chairing its marketing commission. But the 71-year-old's involvement in Olympic matters has become untenable since it was confirmed in January that he has been charged by the French authorities in connection with an alleged vote-buying scheme in 2013, when Tokyo won the right to host the games. Speaking to reporters in Japan, Takeda said he had "not done anything wrong" and would "continue to do my best to clear my name". A two-time Olympian in equestrian, he also apologised for "upsetting society" ahead of the Games, saying he feels "bad about that. In a statement, an IOC spokesperson said: "We take note with the greatest respect of the decision taken by Mr Takeda to resign as an IOC member. While it is true that Takeda, the great-grandson of Japan's Emperor Meiji, has not yet been convicted of any crime, Tokyo's winning bid has been mired in controversy ever since the wider scandal surrounding Lamine Diack, the long-serving Senegalese boss of world athletics, erupted in 2015. That was when the French authorities arrested the Monaco-based sports official and their investigations into him, his family and their associates continue, as do their denials. Takeda has admitted to approving payments of about APS1.5million to Black Tidings, a Singapore-based consultancy run by Tan Tong Han, a close associate of Lamine Diack's son Papa Massata Diack. It is alleged this money was intended for Olympic voters in Africa. Takeda, however, has always denied any knowledge of this and has described the Black Tidings deal as just another "regular commercial contract". Many within Olympic circles believe Takeda but his position is weakened by his initial response to reports of his indictment in France, as he dismissed them as false. This prompted the IOC to open an ethics commission to start an investigation into his actions. The Tokyo Games have also been dogged by the same financial issues that seem to hit every Olympic host, as budgets have been busted and costs have soared. That said, all venues are expected to be ready on time and the IOC believes the Games will be a commercial and sporting success.